Welcome to my search for all those who came before me. I hope you turn out to be a cousin and can share some information. If not then I hope you become a friend.When I started this project in 2000 I was in total awe at just how small the world actually is. I have found people across the continent that know people here in the town I live in and I have found places where I learned I knew a few of the people residing there. It is my hope to bring all of my relatives from the past to life again through this site. I will be updating and changing this as I find new information. I hope you enjoy your visit. I am a widow, living in Wisconsin. In Jan 2000 I found out I had cancer. This meant almost a year off work with what to do? Those who know me well know how hard that was going to be for me to sit still. That is when I decided to follow my ancestorial trail and see where it took me.I have since gotten my sister "hooked" on the trip. In memory of the lives lost and the people missing as a result of the act of terrorism. Now is the time for us all to stand together and be the great country we are. Our hearts weep in unison for the the many dead and injured and the loved ones they left behind. I have had the most wonderful gift given to me. My cousin Terry gave me the missing link I have looked for for over 5 yrs. Alonzo's parents names and his birthplace. Here he had it all this time and all I had to do was ask!! So, My search for The Bates line is pretty well complete. Alonzo's parents were Otis and Anne ( Barrows or Barrus) Bates. Otis's father was Daniel and his was Samuel, then Edward, Edward, and Elder Edward Bates of Weymouth. The Daniel Bates family can be found in the Cummington 1790 census records along with his father Samuel and several cousins. It all falls into place once you know the missing piece. How many times had my sister and I looked at that family and said gee it sure looks like that is the one. Now, according to the information given to me by Terry, Alonzo had a brother named Otis and one named Admithy and a sister named Ann. According to the Bates Association bulletins, Daniel had sons, Daniel, Nathan, Samuel, Otis, George and Alanson. Sisters named Susannah and Sally. The information also said Alonzo was born in Cummington. His father died someplace between Massachusettes and Ohio. His mother remarried Chester Packard and they moved to Wisconsin in 1852. Lots still needs to be found, like how did Alonzo end in Canada to marry his wife, did his brothers also go to Canada? or Michigan where Alonzo and his family lived for 5 yrs before going to meet with his Mother in Wisconsin? If anyone can shed some light on this I would be ever so greatful. If you visit this site, it has music. I would most of all like to thank my sister Sue for becoming an ancestor addict like me. It helps to have someone in the family to help you search. Linda Garrigan a cousin I found through a message board posting. We have done some sharing and visiting since we met. She has been very generous to share pictures with me that I will cherish forever.And,without her the search for the Schroeder side of this would be a whole lot harder. And, for Donna Cole, Les and Mary Pardo who most wonderfully gave me the Gill/Pardo information I was going nuts trying to find. I know that without thier help on this I would still be wondering just how and who they came to be in the family. And Diane Johnson who sent Linda and I the info we were searching for on the Schroeder side from Doon Iowa. Cheryl Marsh for all the searching you have done for me. My friend and distant cousin Betty . To my newly found cousins, Pete Christianson and his mother, and Vaughn Blackmore, Tom Murdock and the newest found one, the Otis Bates family in Michigan..and, my latest find from cousin terry who gave me the missing link for Alonzo Bates's parents.I am so very glad we have made the connections.! Through the family tree DNA " Bates project " we have determined that we are decendants of the immigrant Elder Edward Bate(s) of Weymouth not to be mistaken for Edward Bates of Boston as there were two about the same age in that very same area. The test was an EXACT match to 2 lines from Edward that have paper trail to him so we are on our way to finding that old Alonzo's parents. 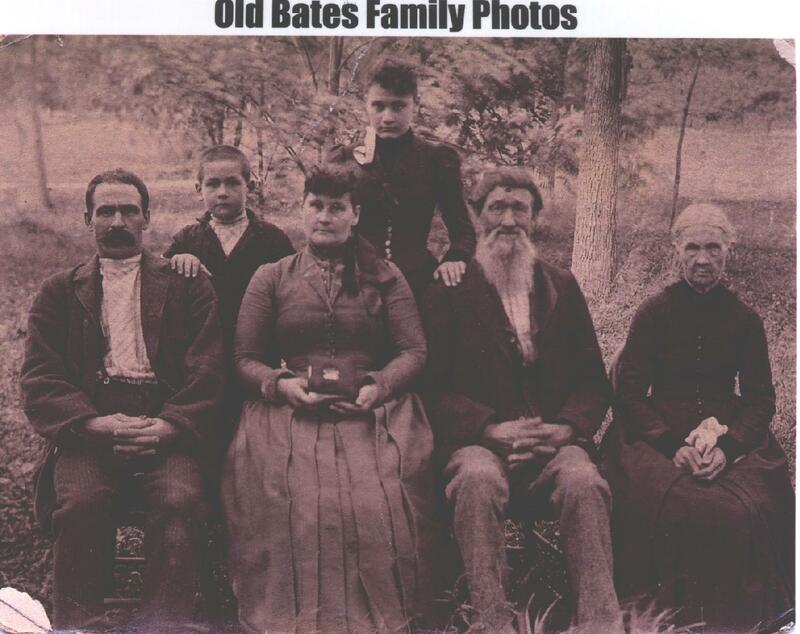 If anyone out there has any info onthe Bates family that may have lived in Canada for a time around 1830 to 1850 please please email me and lets compare notes. ANY INFORMATION FOUND IN THESE PAGES MAY BE USED FOR YOUR PERSONAL USE ONLY. YOU MAY NOT USE ANYTHING YOU FIND ON THIS WEB SITE FOR MONETARY GAIN. NOTHING FOUND HERE MAY BE RESOLD FOR ANY REASON. Please sign my guest book and be sure to add the surnames you are researching. is owned by Patti's Genealogy Site.